Brian Chernick/Courier The Monta Factory bakery sells Armenian "Manti" dumplings in Pasadena, on Wednesday, April 20, 2016. Hear the word ‘dumplings’, and one might immediately be reminded of the Asian delicacy of tender meats and soft vegetables wrapped up in clouds of soft dough. But that’s the east side of Asia. Armenian Manti dumplings at the Monta Factory bakery in Pasadena, on Wednesday, April 20, 2016. Over on the west side of Asia, and the north side of Pasadena, the food takes on a wholly different form in an Armenian style dumpling called Manti. 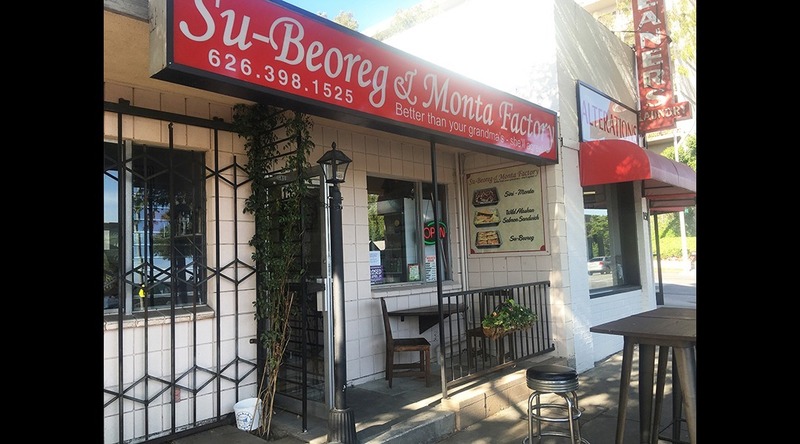 Su-Beoreg and Monta Factory, located in the sleepy part of North Pasadena, is a quaint restaurant and distribution center owned and ran by the Yegiazaryan family. Monta Factory was founded by Evelina and Grant Yegiazaryan over 12 years ago and ran almost solely as a wholesale distributor, which it continues to do so for 14 other restaurants. Sarkes Yegiazaryan, an aspiring actor and student at Pasadena City College, took over the business from his father, Grant, almost two years ago. Sarkes’ desire was to expand the Monta Factory’s already successful wholesale store into a ready-to-serve operation, allowing people to experience their meatball pot stickers straight from the source. The transformation was a tremendous undertaking by Sarkes, and one which he took very seriously. And it appears to be paying off with the business recently being profiled in the Los Angeles Times. Jenn Harris, reporter for the LA Times, detailed the painstaking effort put into prepping all the ingredients, all from scratch. “It’s a lot of labor,” Evelina told Harris. Making 2,664 individual pieces of manti is no simple task, but Sarkes and his mother work tirelessly each morning to prepare trays of the tasty morsels for other stores and for their own to sell to customers. The baked and crispy dough encapsulates a blend of meat and spices into bite-size pieces and covered in a tomato sauce. An optional, but arguably required, addition is a garlic sauce, which can be drizzled or poured over on top to one’s liking. “In Armenia, this is every child’s favorite food,” Grant , the father, said, speaking to Joshua Lurie of Food GPS. The Monta Factory menu short, allowing the family to be laser focused on perfecting a small offering at their home away from home. Other offerings include the first half of the Monta Factory’s full name, Su Beoreg, a cheese dish served in slices that resemble a lasagna. The Factory was recently closed for business in remembrance of the Armenian Genocide.